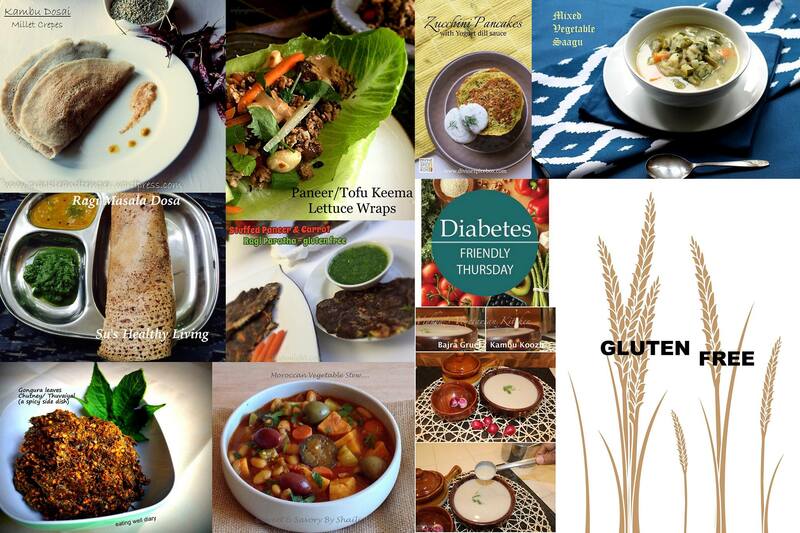 I was so excited when I heard about this week’s theme , gluten free !!! . I have always wanted to blog a lot of gluten free recipes , because in our South Indian diet we have a huge selection of gluten free recipes for any kind of meal . So when I came to know about the theme I decided that I have to make a breakfast item which is filling as well as nutritious. 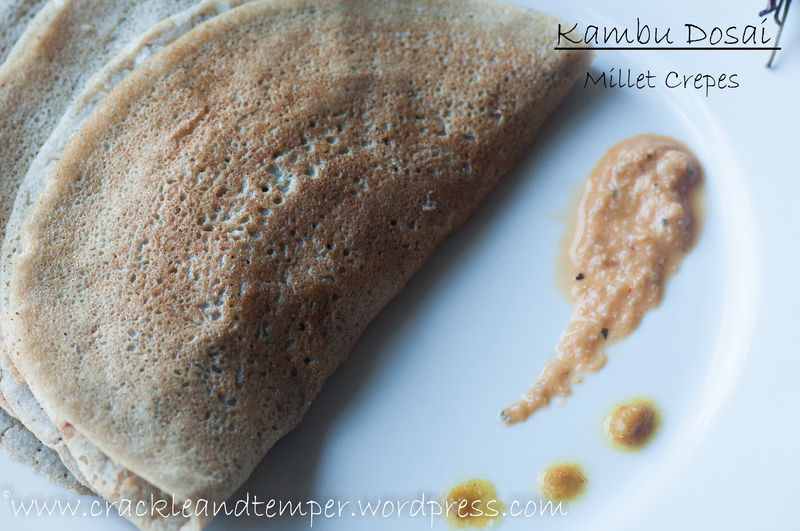 So here I bring you all a delicious pearl millet crepe which is an excellent gluten free breakfast recipe . With a slight prep ahead you can make these crepes even during a busy morning . I have used whole grains in this recipe to get the entire nutrition from the grains. 1. Soak millet in a bowl with enough water to cover it . In another bowl soak rice , black gram and fenugreek seeds . Soak these for for 7 to 8 hours . 3. Ferment this batter for 7 hours or you can ferment it overnight . Keep it in a warm place to ferment . If you live in colder places , preheat your oven to 200F , turn it off and keep the batter inside . White rice has long been known to be a bad food for diabetes, because it causes blood sugar spikes. However, adding healthy whole grains and fiber to a diabetes diet may reduce the risk of complications. A diet rich which includes brown rice protected animals with diabetes from this common complication ( Source everydayhealth). This rice is also packed with fiber, an important component for diabetes management. Because fiber takes a long time to digest, sugars are released slowly,that helps keep blood sugar levels steady and prevents glucose spikes.”According to a research done by medscape when a group of people substituted brown rice instead of white rice it was found that glucose was cut down by 20 % and insulin by 60 %. Yum! I have made bajra dosa but with some amount of idly rice in it. Good to know that this composition of only whole grains works so well. Surely trying it! This is something new to me. Looks healthy and tasty! Dosas in any form make me happy. 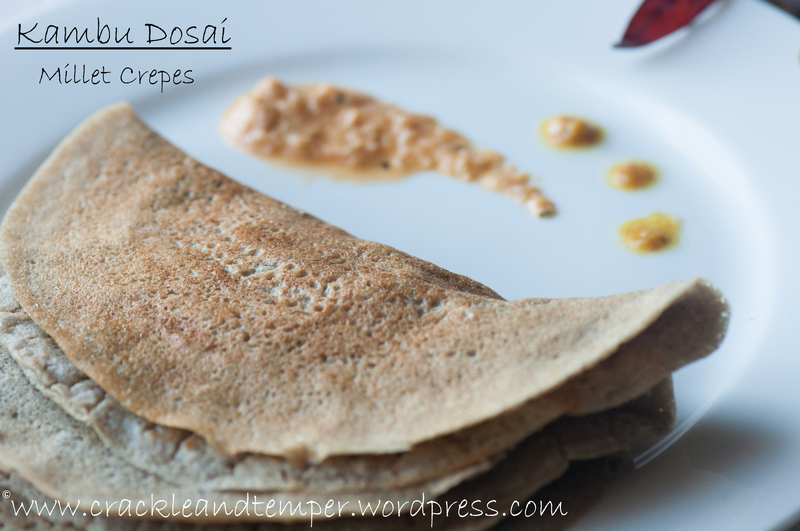 Bajra dosa with the whole grains is awesome. healthy, filling. Loved the recipe alot Paro and definately giving it a try . 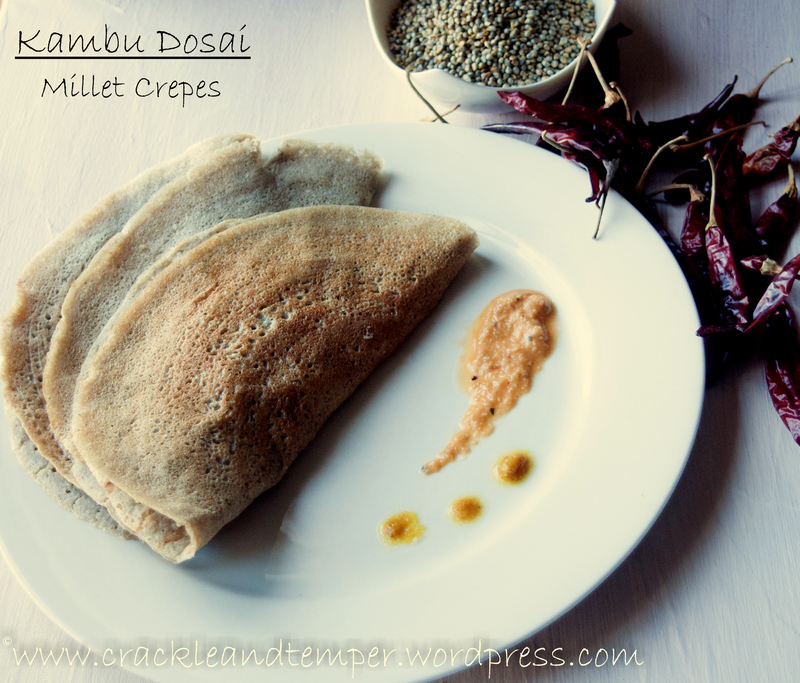 Love anything with millet and its good to know that I dont have tomadd rice ..
What a bright idea to step up a regular dosa to a healthier platform. Millet and brown rice is a complete combo and good nutrition.